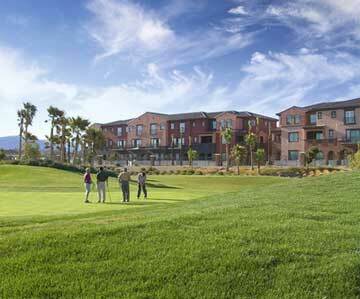 Pesaro new homes in Tuscany Residential Village Las Vegas offer golf course views. The golf course single story homes offer three different models with up to six bedrooms, great rooms, den, island kitchens, up to four baths and three car garages. These new homes in Tuscany have from 2,375 to 2,694 square feet. Rhodes Homes unveils its Pesaro new homes today within the master-planned Tuscany Residential Village in Henderson.